Do you have a favorite book series you just look forward to sharing with your students year after year? I most certainly do! The “Mr. Putter and Tabby” Series by Cynthia Rylant is seriously one of my favorite series! I love this series so much, I even pushed it into with a little author study I did my thirds last year. You can read about that here. Lucky for me, the kiddos also fall in love with the series! Who could resist a little old man and his cat? Mr. Putter and Tabby for the win! Two of my boys reading a Mr. Putter and Tabby book during their partner reading time. <3! So when it came time for us to read the first book in this well loved series from our Reading Books, I was super excited! Our skill that week was focusing on asking and answering questions. 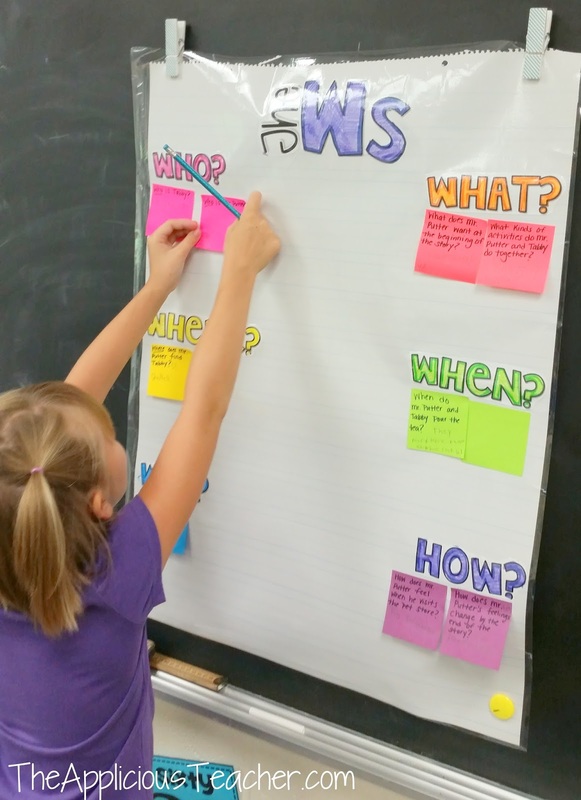 This early in the year, we focus on the “W” questions… You know… the “Who, What, Where. 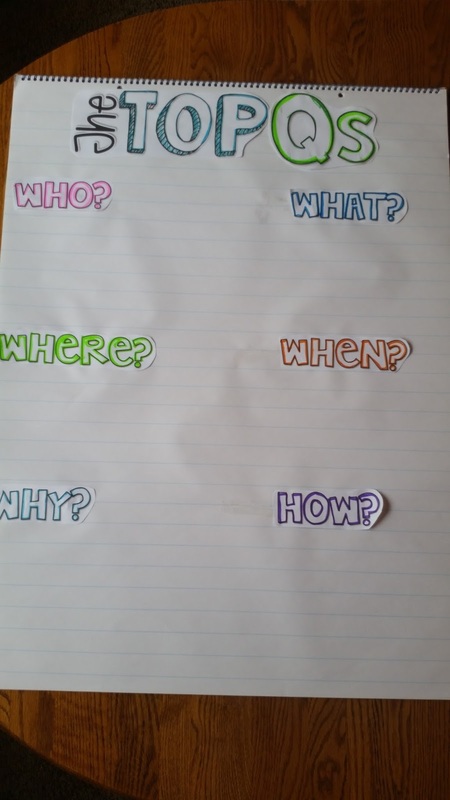 When, and Why” questions. 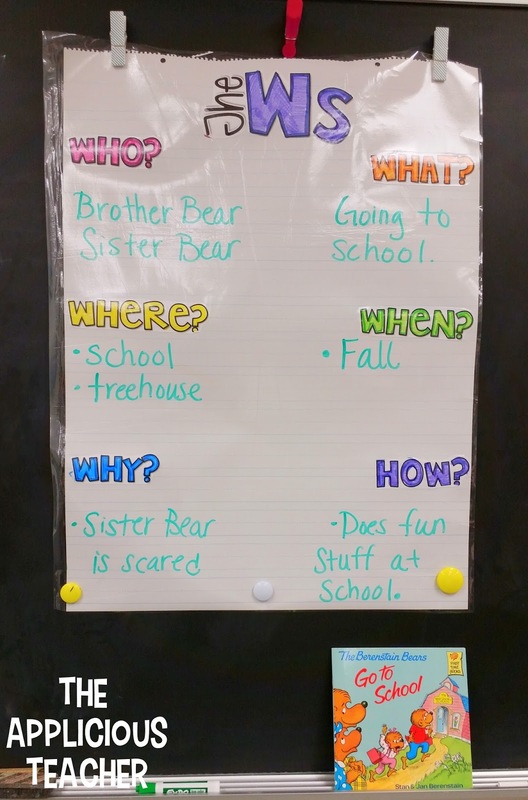 We first filled out the chart together using the story, “Berenstain Bears: Go to School“. 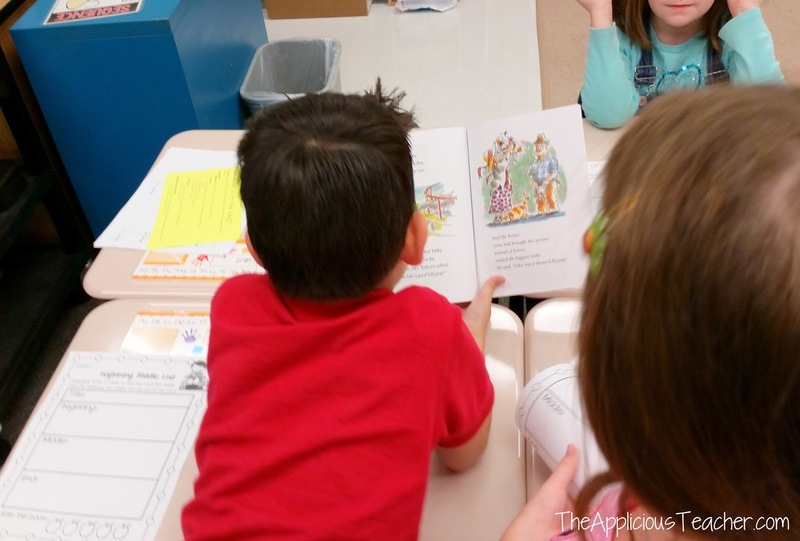 This popular story has a simple to follow story line that many students can relate to. –Who is this story about? –What is happening in the story? –Where does the story take place? –When Does the story take place? –How is the problem solved? 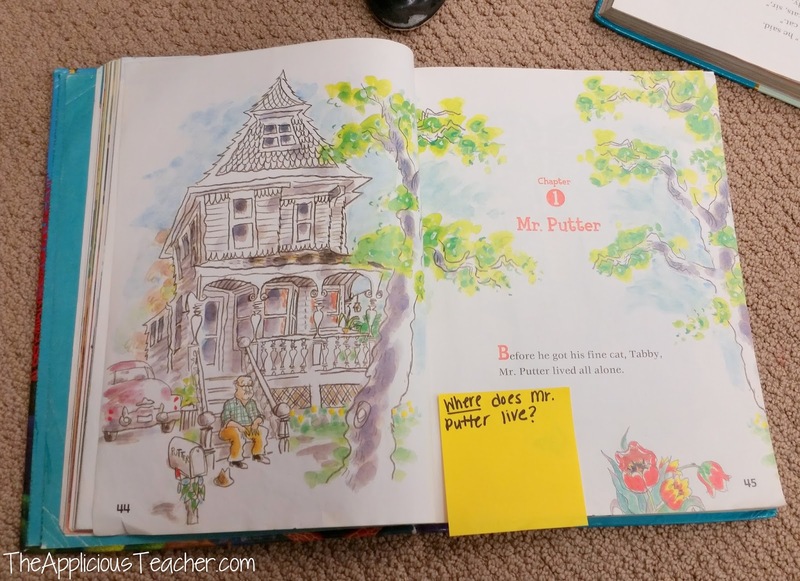 Once the kiddos understood how we could use the text and pictures to find these answers, we were ready to jump into Mr. Putter and Tabby! Whoop! Whoop! 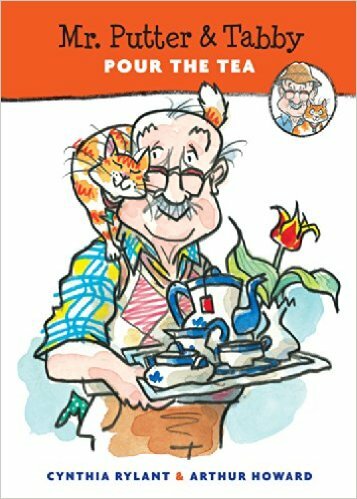 As a class, we read the first book in the Mr. Putter and Tabby series:Mr. Putter and Tabby Pour the Tea. 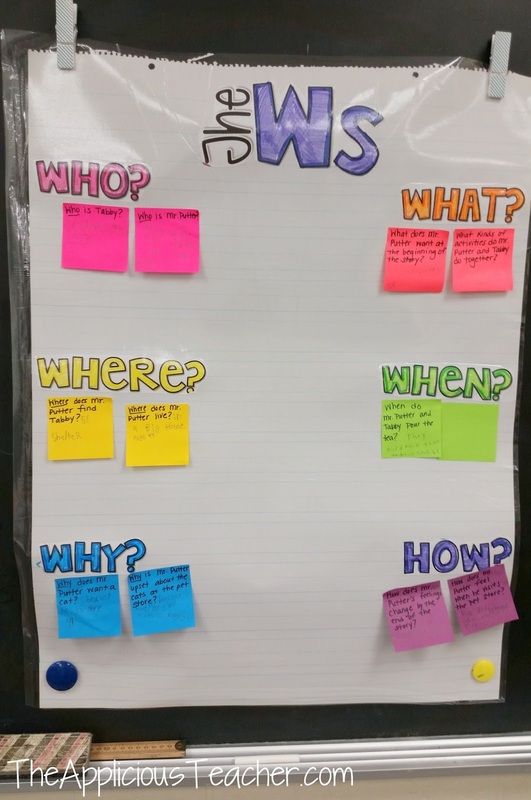 After reading the story, I gave one “W” question, written on a sticky note, to each pair of students. The kiddos not only had to use the text to answer the questions, but also find the page where the answer was located. Then, put their sticky up on our chart. Once all pairs were finished, we reviewed each question and answer. 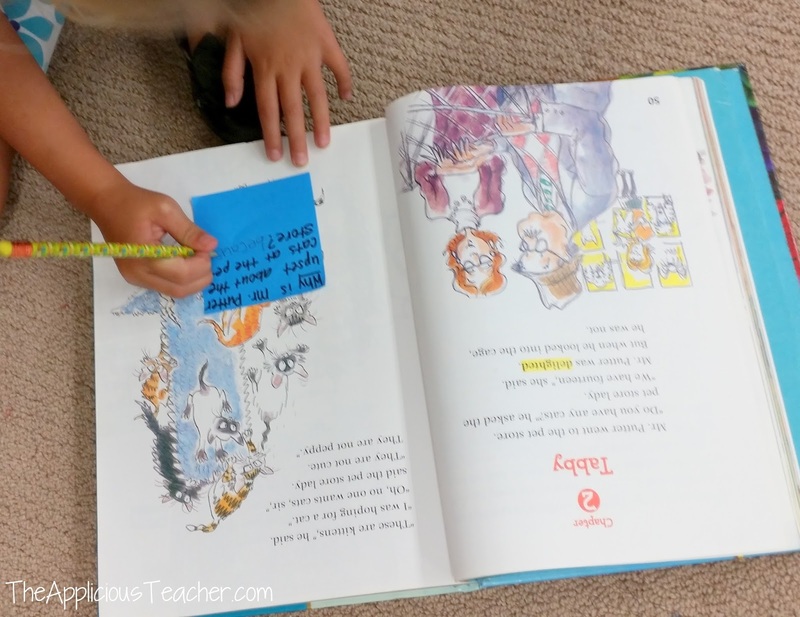 We made sure to flip in our books to find the picture or text to prove the response was correct or incorrect. If the answer was not all the way right, I gave back the sticky note for the student pairs to fix. Then, the students were ready to read their own choice book from the series and work on sequencing. Each table got to choose which Mr. Putter and Tabby book they’d like to read. 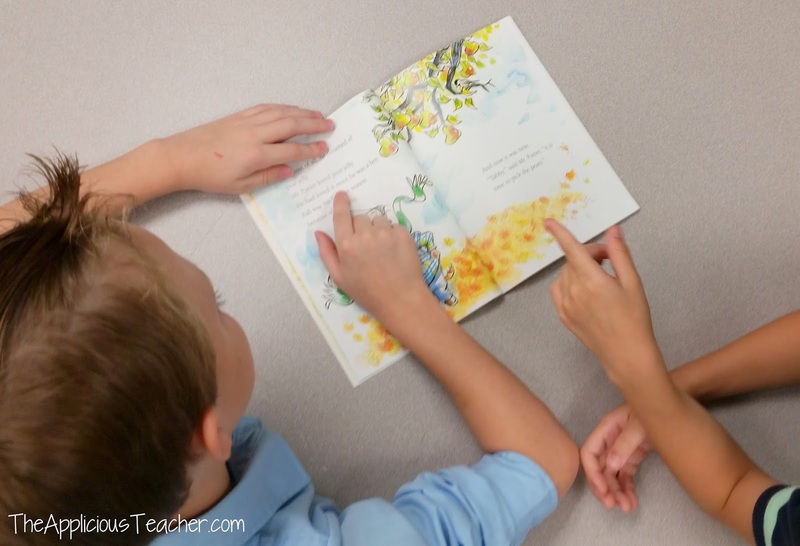 Then, the kiddos did a shared reading of the story. DIFFERENTIATION TIP-The majority of the Mr. Putter and Tabby series falls in the 1.5-2.5 range, but some are over. 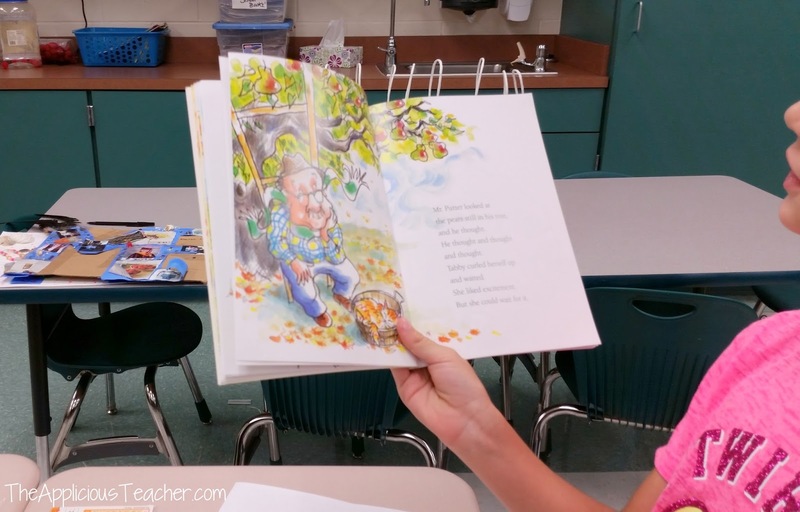 When allowing student choice, be mindful of students reading below grade level. This is a perfect time for pulling the lower reading level books up for choice without drawing attention to the adjustment. 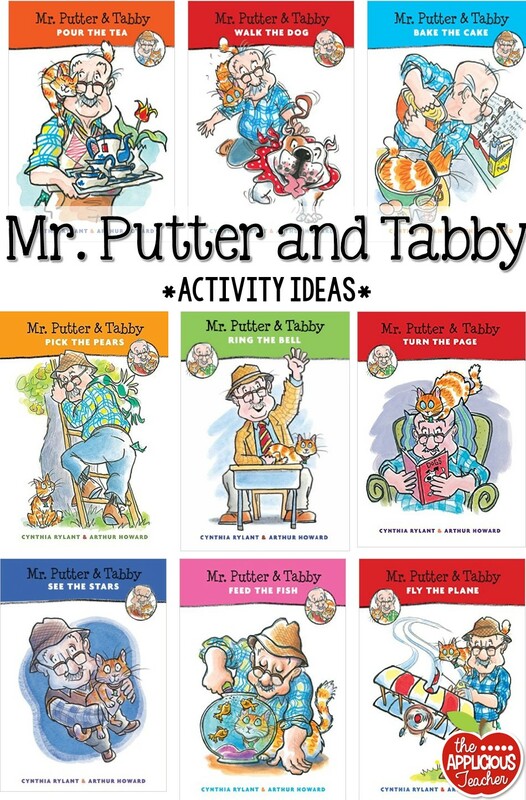 When the kiddos were done, they worked with their table groups to retell their Mr. Putter and Tabby story using this FREE Graphic Organizer found in this pack. We also used our Mr. Putter and Tabby story to launch us into writing! As we became more familiar with the series, we discussed how the main theme of the series was Friendship. We also discussed how each story had a beginning, middle, and end. So during writing time, we worked to share about how we met our best friend, just like Mr. Putter. First, we brainstormed about our bestie and how we met them. Then, we used our brainstorms to create an expository piece on how we met our Best Friend. Once our writings were done the students illustrated their best friends. My second used the self checking rubric to make sure their writing had everything it needed to get an AWESOME score! You can grab this entire writing project here on TpT. 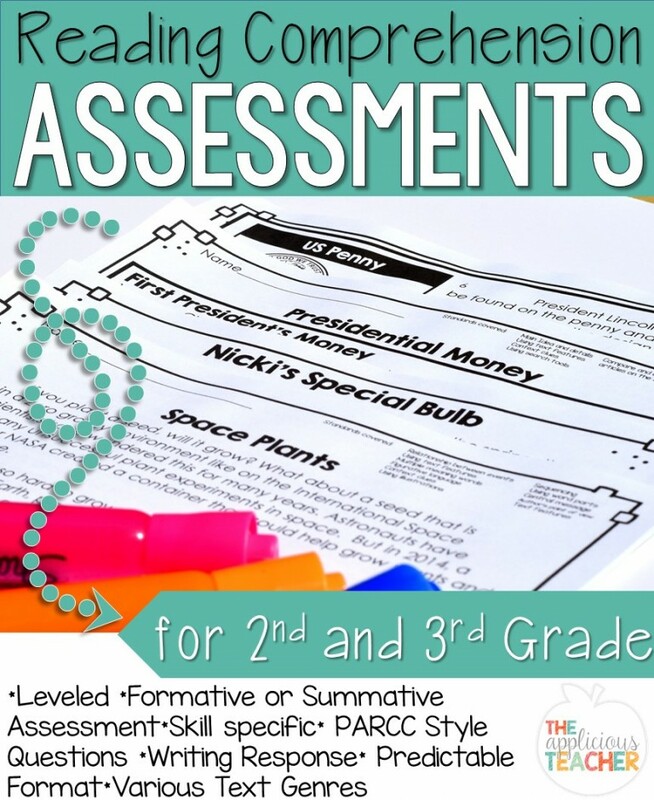 These handy rubrics also make it super easy for a busy teacher (if you know any…) grade writing! 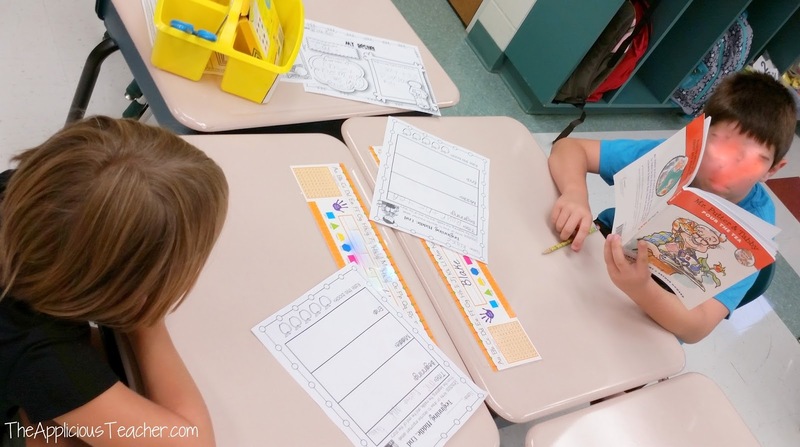 Those are just a few ideas of how we used this kid friendly series in our classroom. What are some fun activities that you do? Comment below!